Canadian comedian Norm Macdonald is apologizing for defending Roseanne Barr and Louis C.K. during an interview with the Hollywood Reporter. 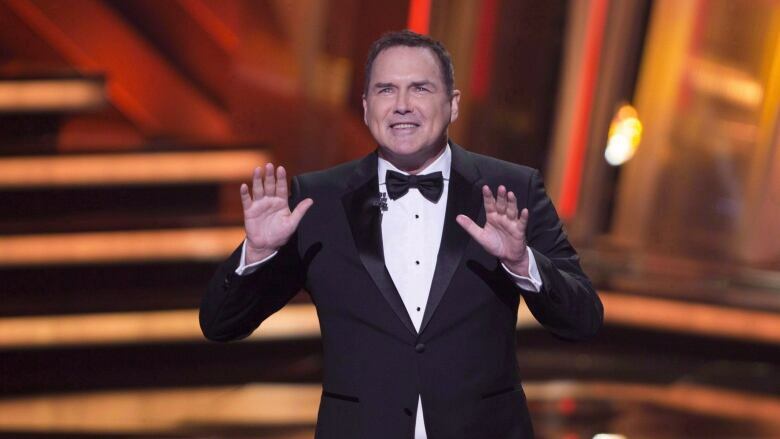 Canadian comedian Norm Macdonald has apologized for defending Roseanne Barr and Louis C.K. during an interview with the Hollywood Reporter. Louis C.K. 's production deal with FX Networks ended and a movie release was cancelled when he admitted to inappropriate behaviour following allegations from five women. Macdonald told the Hollywood Reporter on Tuesday that people used to get a "second chance" when they admitted wrongdoing, but "now it's admit wrongdoing and you're finished." He also said he was "happy the #MeToo movement has slowed down a little bit." That brought social media down on Macdonald, with some suggesting on Twitter it could lead to his new Netflix show being cancelled. In his apology tweet, Macdonald said Barr and Louis C.K. "both made terrible mistakes and I would never defend their actions." Following the controversy, NBC cancelled Macdonald's appearance on The Tonight Show on Tuesday.